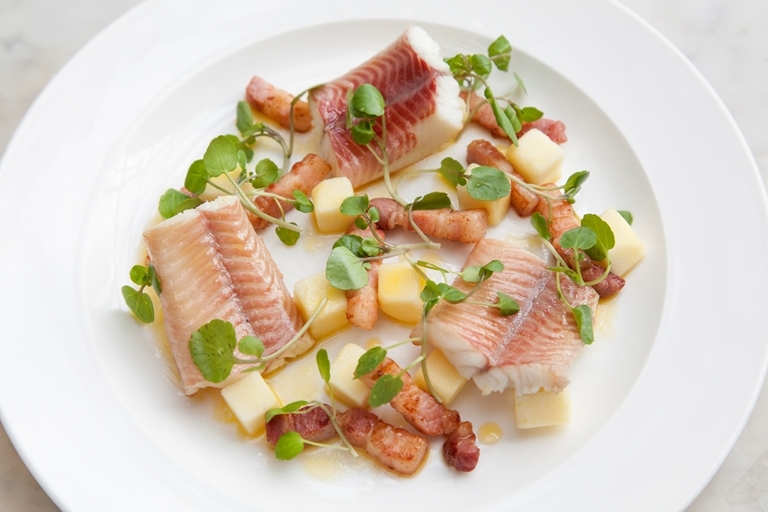 Like many oily fish, such as mackerel, salmon and trout, eel takes on a wonderful, sophisticated flavour when smoked. Adam Gray perfectly balances this in this starter recipe with the crunch and acidity of fresh apples, a salty hit of bacon, and the zing of an apple and ginger dressing. If you can't find apple and ginger juice, grate a little fresh ginger into plain apple juice.